PUBLISHER : TOSO PUBLICATION CO,.LTD. Form : A4 converted, 160 pages, Full color, Partly English text. Klaas Kuiken, Neil Conley, Pepe Heykoop, Pia design, Ushida Yuya, WHATSWHAT. Introducing 4 major interior trend styles. Inspiring works collaborated with DAN Project of Nanmura Dan. 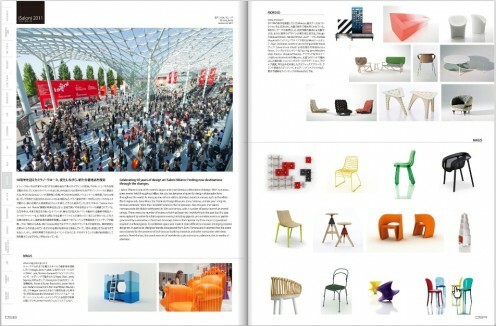 Please check out a part of its contents of INTERIOR TREND VISION 2012.